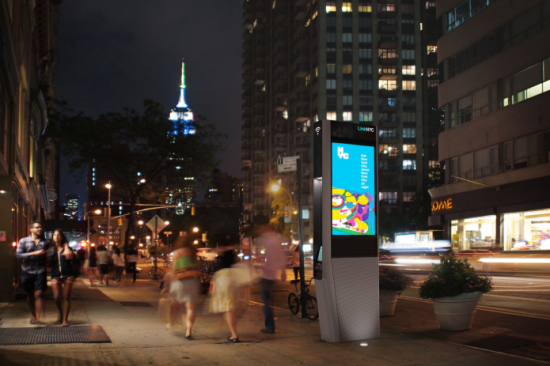 The plan to replace New York City’s aging payphone infrastructure with a more 21st century alternative dates back to the Bloomberg years. 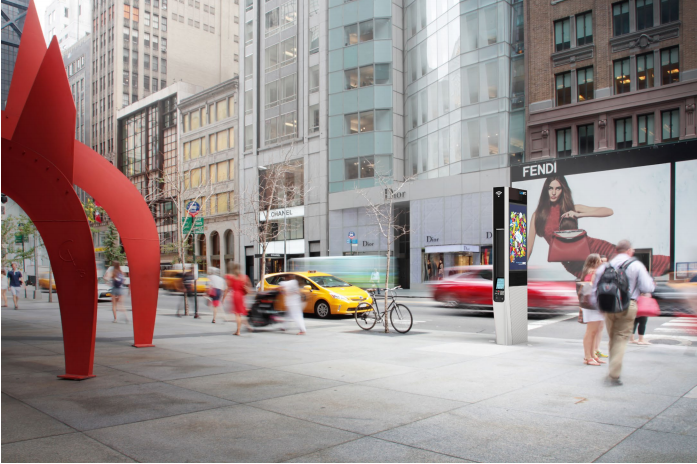 Almost two years ago, the former mayor announced the Reinvent Payphones Design Competition “to rally urban designers, planners, technologists and policy experts to create physical and virtual prototypes that imagine the future of New York City’s public pay telephones.” That following spring, Sage and Coombe Architects’ NYFi portal won the Popular Choice Award. 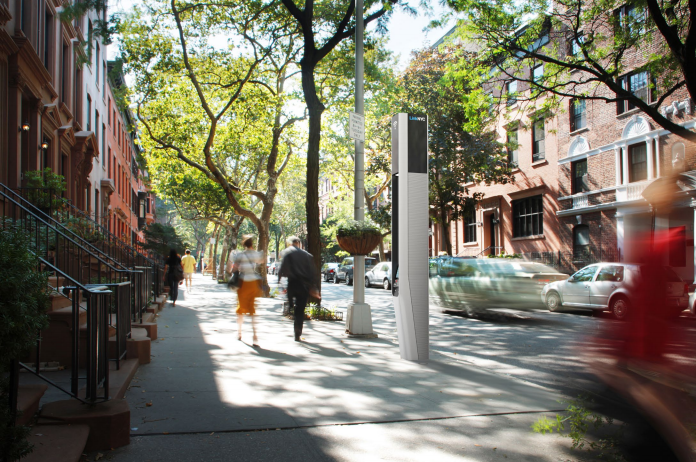 And then a year later, de Blasio issued an RFP to get the next generation payphone actually up and running. That’s where we are now: CityBridge has been selected by the city and installation should start early next year. The system could ultimately include up to 10,000 Links. But, according to a Daily News report, not all Links will perform the same way, at least not as currently planned. “The speedier systems are flanked by advertising—and advertisers prefer wealthier eyes,” explained the publication. 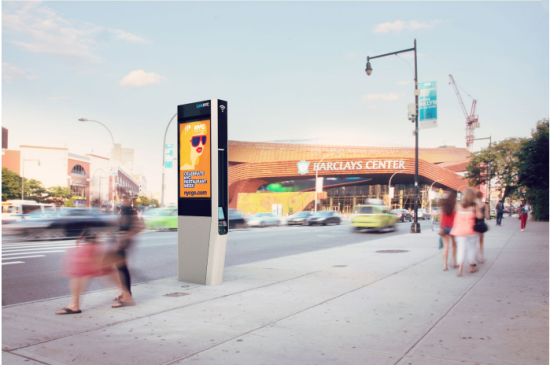 “As a result, all of the 2,500-plus locations in Manhattan are high speed, giving the borough with 20 percent of the city’s population fully 65 percent of all the fast kiosks. 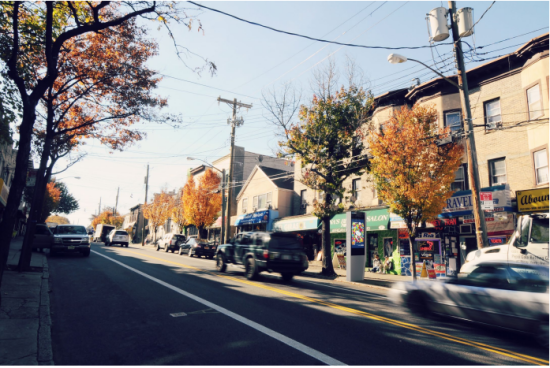 Meanwhile, the Bronx will get speedy Wi-Fi at 361 kiosks—just 6 percent of the fast Wi-Fi stations in the city. The borough will have slower service at 375 non-advertising kiosks, which replace old payphones.” An administration official told the Daily News that they are working to rectify the discrepancy.